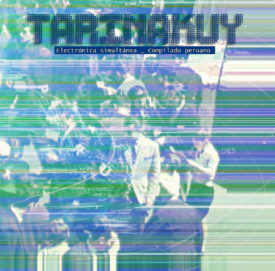 Release ‘Tarinakuy / Electrónica simultánea – compilado peruano’ by various artists, curated by Rolando Apolo with the support of Bifronte Records. Tarinakuy is a Quechua expression that means “to meet among those who are looking for each other”. This compilation brings together a series of advanced sound creations in Peruvian electronics. The plurality and quality of the themes reflect the trajectory of an experienced and consolidated scene, brimming with brilliant works that reveal the musical exploration of various projects conceived throughout these last 2 decades. Christian Galarreta and Janneke van der Putten contribute with their track ‘Garganta Profunda’. Live process (Galarreta) of live voice (van der Putten). Recorded live in September 2016, Rotterdam.